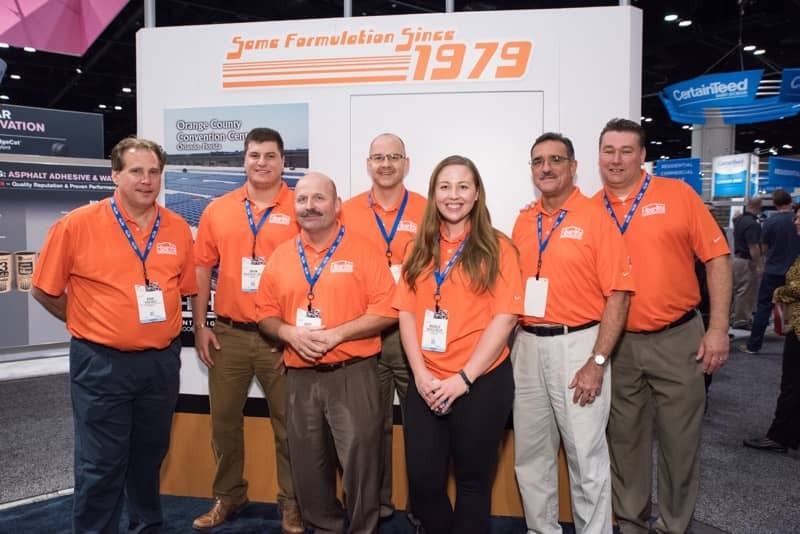 The 2016 International Roofing Expo was one of the best yet! There were a wide range of attendees as well as some very informational events. In case you weren’t able to attend, or weren’t able to attend some of the events you wanted to, we’ve provided a recap for some of the functions our team was able to enjoy. To start off IRE, the keynote was presented by Dr. Beck Weathers. Dr. Weathers is an inspirational speaker who survived one of the deadliest storms on Mt. Everest in 1996. 8 climbers were killed that day and Dr. Weathers walked away with a variety of life lessons he shared with the audience. The biggest takeaway? Cherish every moment you have. Another event attended by our team was the “National Women in Roofing” reception. Women in Roofing (WinR) is a national organization focused on the empowerment of women within the roofing industry. Lindy Ryan from NRCA spoke to kick off the meeting. Lindy is the first female Chairman of the Board. She discussed the impact that women have had on the roofing industry and how women are now owning the decision maker role more than ever before. Check out this video to learn more about Lindy and her role in improving the roofing industry. The trade show, which occurred over two days, was probably one of our favorite functions during IRE. This year, our theme was 1979 and our booth was transformed into an era-appropriate living room. You can check out some of the pictures here! FiberTite is the only KEE membrane in the industry with a track record to prove its performance, dating back to 1979, showcasing more than 35 years with the same formulation. We’re the best membrane in the industry however because we are lucky enough to have the best partners. 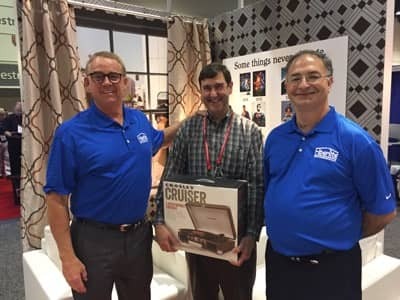 We wanted to have some fun while we were at IRE, so we gave away two Crosley Cruiser record players as well. One went to John Maxwell, President of Maxwell Roofing & Sheet Metal, Inc. and the other went to Chad Dunlap of Frost Roofing Inc. Congratulations again to both winners! We also gave appreciation boxes to any of our platinum and gold roofing contractors who stopped by the booth. Overall the event was a huge success and we can’t wait for IRE 2017! As an added bonus, America’s Got Talent was holding auditions next door. Did you attend the 2016 International Roofing Expo? Share your experience in the comments!